Taking a break from some intensive renovation work at Kim's and John's house, we treated ourselves to a meal at Trip Advisor's Number Three restaurant in Olympia. It didn't disappoint us. 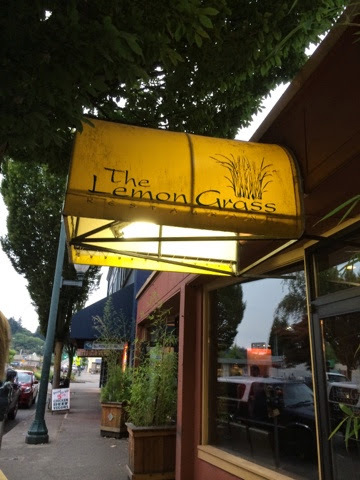 Friendly service and very good food in a style somewhat distinct from what we've experienced. 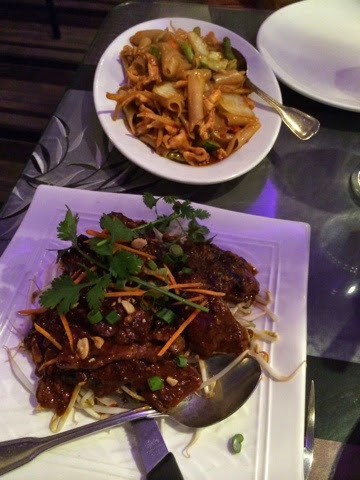 We chose the highly recommended Seven Flavors Beef and a Pad Siew, both of which were delicious. We'd almost venture it's close to Asian fusion, in that we would have had trouble in identifying either dish as particularly Thai. That's not a criticism - we thoroughly enjoyed it.